Antheus Telecom are extremely proud to sponsor Newton Abbot Rugby Club as a platinum sponsor this season. We are very happy to be associated with a forward-thinking club that is growing to be such an integral part of the local community. Our head office based just a stone’s throw from the home of the All Whites in Newton Abbot. So Antheus has signed a one-year deal to sponsor our flourishing local team. Newton Abbot’s “All Whites” made a truly stunning start to the season last week; scoring almost one point every minute in the first half before winning 67-12 against Bracknell in the season opener last weekend. So for now the “All Whites” are sitting at the top of the South West Premier League! And this weekend, the All Whites are at home to Weston Super Mare on Saturday the 9th of September. Kickoff is at 14:30. 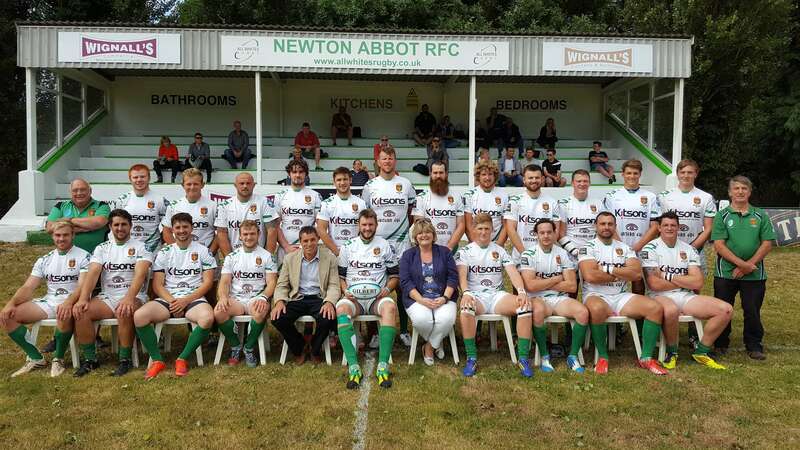 We are very excited to announce our sponsorship of Newton Abbot Rugby Club. We look forward to following and supporting the team’s progress over the coming year. Antheus Telecom provide telephone systems and call centre solutions to small and medium-sized businesses throughout the UK. Fixtures and results are available at Newton Abbot Rugby Club.